I am not Roman Catholic; I’m a Baptist but I am not trying to attack/slam the Didache Bible. I acquired this Bible at my own expense. Neither Ignatius Press or Midwest Theological Forum was involved in selecting this book for review. Some background to the review: My wife, and several of my closest friends are former Catholics and a number of my colleagues still are, so as a pastor, I felt that it was necessary for me to better understand catholic theology in order to be able to minister to them more effectively. Translation:The edition being reviewed, here, uses RSV2CE. It would appear that this Bible has also been released in the New American Bible Revised Edition. 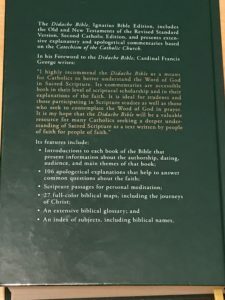 The Didache Bible uses the Revised Standard Version, Second Catholic Edition or RSV2CE for short. In early 2006, Ignatius Press released the Revised Standard Version, Second Catholic Edition (RSV-2CE). 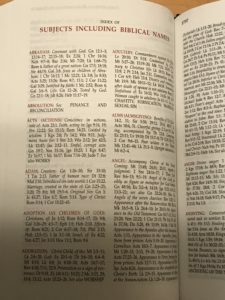 The Ignatius Edition “was revised according to Liturgiam authenticam, 2001” and that it was “approved under the same [i.e. 1966] imprimatur by the Secretariat for Doctrine and Pastoral Practices, National Council of Catholic Bishops, February 29, 2000.” To that end, Ignatius Press submitted its proposed revisions to the United States Conference of Catholic Bishops and to the Congregation for Divine Worship, making specifically-requested changes to those portions of the text in liturgical use as lectionary readings. As with the original RSV and its first Catholic edition, the translation copyright remains in the hands of the National Council of Churches. As a general rule, I am not opposed to the RSV, unlike most of my conservative colleagues. 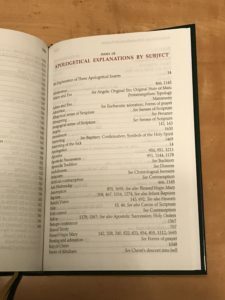 When using the RSV, you will gain some interesting insight into textual criticism as well as how the older mainline denominations handle Scripture. On the other hand, I do not care for the NABRE. I realize that it is the standard “catholic” Bible in the US, but I do not find it helpful. My studies lead me to the conclusion that NABRE is more on the thought-for-thought end of the translation spectrum and there are many other translations that are superior thought-for-thought translations. As a word-for-word translation, RSV2CE is excellent for study of the Bible, making the RSV edition for the Didache Bible the better of the two editions. Foreword by Cardinal Francis George on the general relationships among the Catechism, Vatican II’s Dogmatic Constitution on Divine Revelation, and Sacred Scripture. Preface by Fr. James Socias of the Midwest Theological Forum on the fundamental purposes of this edition. 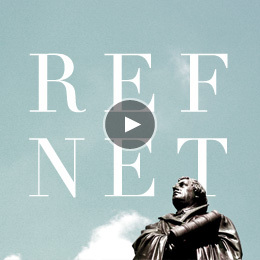 Introduction on Biblical inspiration and the various senses of Scripture. A brief guide on how to read the Bible. A brief summary of the major themes of all the books of the Old and New Testaments. A chronology of the Old Testament. A chronology of the New Testament. A thematically-organized list of Scripture passages for personal meditation. Extensive commentary, verse by verse, on the meaning of the text and its significance for understanding Catholic teaching and practice. Call-out boxes which briefly highlight key Biblical and theological concepts to aid the reader in understanding the full significance of the text. Lists of related Biblical passages (these cross references visually separate the text from the commentary). Periodic full-page apologetical explanations of important Catholic concepts, teachings and practices, placed at appropriate points along the way. There are over 100 of these longer explanations. 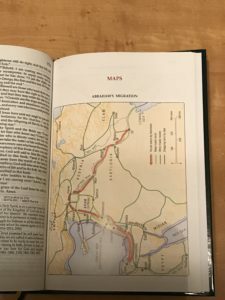 24 full-color maps providing geographical orientations for both the Old and New Testaments. 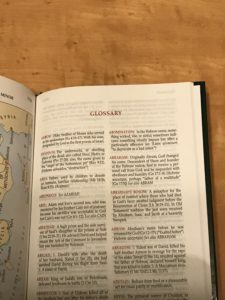 A 44-page glossary of Biblical names and terms. 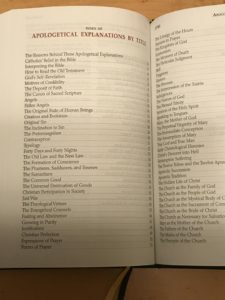 Index of apologetical explanations by title. Index of apologetical explanations by subject. A 23-page index of subjects, including Biblical names, which leads to the Biblical passages in which they appear. The Helps: The major feature of the Didache Bible is the commentary which is based on the Catechism of the Roman Catholic Church. As I mentioned at the beginning, I minister to a number of current and former Catholics and the commentary, here, is quite useful for helping me to speak to them in a language that they will relate to and, by being more familiar with their theology, I am able to bring correction where needed. This is probably one of the more theology driven study Bibles that you will find and I think that is probably the main reason I elected to get it. Given the nature of my ministry, it is important for me to understand the background of the people that I shepherd. 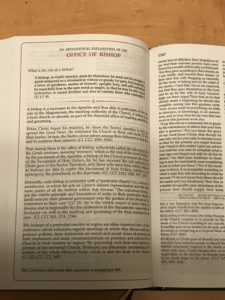 Ergo, the focus on the Catholic Catechism is very important, even for a Baptist such as myself. The edition that I am reviewing is a hard cover, which I usually recommend if one is going to carry a Bible in a briefcase/backpack every day. The binding appears to be an adhesive binding though it could be sewn. Normally I am not a fan of adhesive bindings but if a high quality glue is used it will withstand most use scenarios. 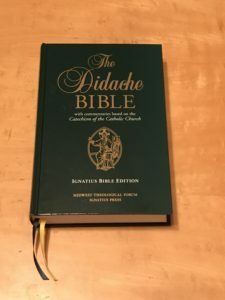 I would not, however, recommend that you leave the Didache Bible in your car if you are in AZ/TX/NM as the heat would be such that, if this is a glued Bible, it will fall apart. 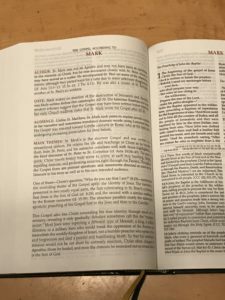 I was surprised by the paper in the Didache Bible. Many publishing houses use very thin paper from China in an effort to keep costs at a minimum. The thinness of the paper causes a phenomenon called ghosting, which means you can easily see what is on the other side of the page; it can be quite distracting. Here, though, the paper has a good opacity, more like what you would find in a college textbook and ghosting/show- through is very minimized. I am confident that if you were the type to add your own annotations to your Bible, you could write in this with no issue. As always, test your writing implement in the back of the Bible so that if there is bleeding, it will be in an area that does not impact daily use. No information was available on the typeface but I will say this: it is very well done and reminds me of the textbooks I carried many years ago, while still a student. Naturally, we have a black letter text block and I prefer that because I annotate in red quite frequently. The black is a deep, rich ebony that really jumps off the page. 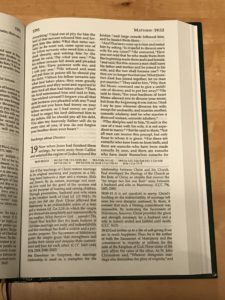 The page layout is 3-fold; it breaks up the page nicely and I find I would like to see this layout in more protestant Bibles. The Bible text is double column paragraph format. Instead of end-of-verse or center-column references, we find a row of references in the center of the page. Lastly the commentary is laid out in a double column paragraph format with the verse numbers in bold. Theological and apologetic articles are full page. If I had to pick a scenario where the Didache Bible would be used most often, I would probably guess it would be found in Catholic High School. You may also find it in Catholic University as well. This is certainly a useful edition, pastorally or academically. In the interest of full disclosure, I grew up in a mixed faith household (Pentecostal and catholic) and I was somewhat familiar with Catholic Theology prior to acquiring the Didache Bible. Thank you for an excellent unbiased review of the Didache Bible. Succinct and to the point, you have helped me decide to purchase one for study.